The article below was published in 2012. Click here for the updated 2015 version. And thus, you are left with two options: sole proprietorship and corporation. Sadly, the decision ultimately turns on how much income you expect to make and the tax consequences associated with that choice. So, you’re making the choice based on a guess. It’s the first of many. Thankfully, whatever you choose, you can always change it going forward or have both a corporation and a sole proprietorship running in parallel. On a personal note, at the end of 2011, I dissolved my law corporation after three years and now operate as a sole proprietorship. Looking back, I wish I’d done it sooner. One of the biggest reasons, if not the reason to incorporate is to limit your liabilities. That’s the beauty of corporations – you, as the investor, are only liable to the extent of your investment in the corporation. Your personal assets are untouchable (assuming the corporation isn’t found to be your alter ego). A closer examination, however, reveals that a solo lawyer is personally liable for most of the law corporation’s liabilities. First of all, Rule 3-400’s prohibition on prospectively limiting malpractice liability means that the corporate form will not protect a lawyer from a malpractice judgment. So, incorporated or not, your personal assets are always at risk. The California State Bar requires shareholders of law corporations to personally guarantee any malpractice claims, regardless of whether the corporation has malpractice insurance. For a solo attorney operating under a law corporation, the guarantee is up to $50,000 per claim and $100,000 per year. Second, lenders, especially credit card companies, generally require a closely-held corporation’s shareholders to personally guarantee the corporation’s debts. The same holds true for lines of credit, equipment leases and property leases. So, your three biggest potential liabilities – malpractice claims, lenders, and landlords – are likely to be joint liabilities of the corporation and the individual attorney. Of course, if your bank and landlord do not ask for a personal guarantee, there is no reason to offer one. Well, what about claims from employees or people who slip and fall in your lobby? In those cases, the corporate form may limit your liability, but only if the corporation is adequately capitalized and insured, and if the corporate formalities have been properly observed. Nevertheless, expect to get sued personally under the alter ego theory. Given the low notice pleading requirements in California courts, the claim will almost surely survive demurrer, causing you to rack up defense costs and fees. Regardless, a general liability policy should help shield your personal assets from personal injury claims. Unfortunately, like many business decisions, taxes (or the desire to avoid them a lá GE) drive the choice of whether or not to incorporate. Assuming that you form a corporation and file IRS Form 2553 (S corp election), the corporation’s income will flow through to you untaxed. Otherwise, as a C corporation, you’d pay taxes on the corporate level and then again at the personal level. So, the federal income tax effects are nearly the same for S corporations as for sole proprietorships. State tax adds an unfortunate wrinkle. California requires all corporations, even S-corps, to pay a minimum tax of $800 per year regardless of income. Rev. & Tax. Code §23153(d)(1). The franchise tax is paid for the privilege of doing business within California and thus is assessed even if the corporation operates at a loss or passes all of its income to its shareholders. FTB S Corp FAQ. In some instances, the S Corp’s first year minimum tax could be less than $800. Check with your accountant if this applies to you. But even then, the discount only applies in year one. Employment and payroll taxes also add up for corporations. Every corporation is required by the California Secretary of State to have officers. And those officers have to be paid wages. When corporate officers provide a service to the corporation and are compensated for those services, the compensation is considered taxable wages. Those wages are subject to payroll, state and federal taxes. Even if you don’t call it W-2 wages, the IRS and FTB will recharacterize it for you and assess any applicable penalties. And don’t forget state unemployment insurance – given the perennial state fiscal crises, EDD is cracking down on underreporting. I don’t mean to suggest that every dollar you receive from the corporation is wages, but you must take a reasonable wage. Sole proprietors are not off the hook for paying taxes, either. They have to pay self-employment (Social Security and Medicare) taxes as well as quarterly estimated income taxes. Taken as a whole, once you exceed $110k in income, sole proprietorships will pay about 1% less in self-employment taxes than owners of an S-Corp would. According to one accountant I spoke with, if you expect to have substantial income (hundreds of thousands of dollars), then the calculus flips and your tax bill will be cheaper as an S-Corp than a sole proprietorship. That’s because most of your non-wage income will be exempt from the Medicare tax; whereas, you’d still be paying Medicare taxes as part of your self-employment taxes. On balance, because of the minimum $800 state tax, you’ll likely pay more in taxes as a corporation than a sole proprietor. As with everything, check with your accountant. According to an accountant I spoke with, corporations are audited less often and deal with better trained auditors. As a baseline, the chance of being audited is minimal, regardless of whether you are a corporation or sole propretorship. However, sole proprietorships are five times more likely than corporations to get audited (5% vs. 1%). Apparently, the IRS believes that sole proprietors, compared with corporations, underreport income and take more deductions than they’re entitled to. The other anecdotal difference is that the auditors assigned to sole proprietorships have less discretion than the ones who audit corporations. This matters because as diligent as you are, there you won’t be able to back up every expense. So, it’s better to have an agent who will give you the benefit of the doubt rather than someone who strictly follows the guidelines. Moreover, if the auditor is reviewing sole proprietorships every day, she may walk-in to the examination believing that you are hiding income like other sole proprietors. Lastly, sole proprietorship examinations are conducted at the IRS office; whereas, for corporations, the IRS examiner will come to your office or your accountant’s office, giving you a bit of home court advantage. The two most commonly used retirement plans for solos are SEP-IRAs and Individual or Solo 401(k)s (Wikipedia, IRS). In the SEP world, the employer, regardless of whether it’s a sole proprietorship or corporation, may contribute up to 25% of their employees’ wages, up to $52,000 in 2014 (the cap changes nearly every year). The two problems with SEPs are that the employee cannot contribute to it and in order to hit the $50,000 cap, the employee has to take $196,000 in W-2 payroll and income taxable wages. If you’re clearing $196k per year, the tax efficient strategy would be to take a small but reasonable portion as W-2 wages and the rest as profit. $38,854 to your Individual 401(k). Individual 401(k)s are by far the best option, but note, if you have any common law employees, you cannot open/contribute to an Individual 401(k). So, if you’re planning on hiring staff/associates, then opt for a SEP-IRA or a traditional 401(k). Again, depending on how aggressive you are with your deductions, it might not be worthwhile to contribute to any of these types retirement accounts in a given year. In such instances, a standard Roth IRA could be your best option. The good news is that both corporations and sole proprietorships may adopt SEP-IRAs and Individual 401(k)s.
a Law Corporation Annual Report with the State Bar and pay $75 fee. For those keeping score, that’s $100 in fees for law corporations vs. $0 for a sole proprietorships. Regardless of your form, your city will likely assess a city business tax based on gross receipts – yes, that’s gross, not net receipts. This is a stark deviation from the tax norm of taxing profits, not revenue. The business tax is the same for sole proprietors, partnerships or corporations. In addition, some cities, like San Francisco, require businesses to pay a payroll expense tax. To incorporate, you’ll need to prepare and submit articles of incorporation and a $100 filing to the Secretary of State. Next, you’ll need to register as a law corporation with the State Bar and pay a $200 fee. So, the start-up costs are $300. If you choose the sole proprietorship route and the business name doesn’t have your name in it (i.e. Flashpoint Law), you should file a fictitious business name statement in every county you operate. The form is available from your county recorder’s office. The filing fee varies by county but is usually around $50. Next, advertise the statement in a newspaper in general circulation within the county, which should cost between $40 and $150– don’t worry, the recorders’ offices usually maintain a list of papers to choose from. Go for the cheapest option. The statement needs to be renewed every 5 years. So, the startup costs are about $100 per county. With the disclaimer that you should check with your insurance broker, eligibility and pricing for malpractice, health/dental/vision, general liability, and worker’s compensation insurance is the same regardless of whether you incorporate or not. Furthermore, these insurance premiums are deductible regardless of whether you operate as a sole proprietorship or S Corp.
As with anything, check with your accountant and insurance broker to see which option works best for you. But if you’re unsure about your expected income and want to minimize costs as you’re establishing a practice, consider a sole proprietorship. Next, learn about: Your duties under the ADA or Your liability for drunk employees. 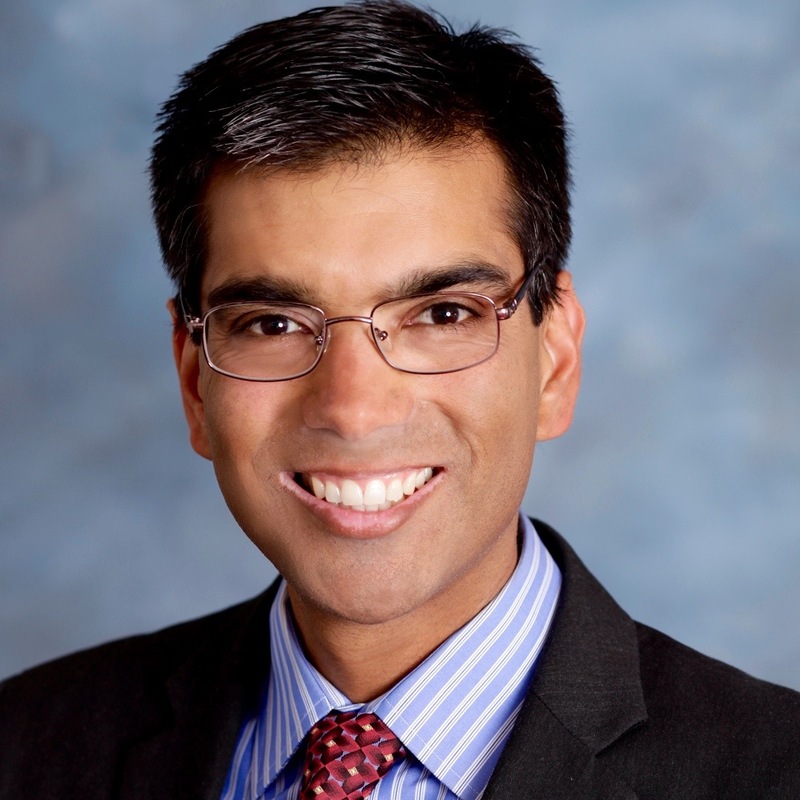 Shirish Gupta is a California-based mediator and arbitrator with JAMS. In 2014, the Recorder named him the Best Independent Mediator. He is a past-Chair of the California State Bar Solo and Small Firm Section Executive Committee and had his own solo practice from 2008 through 2015. *Earlier versions of this article were published in the California Bar Journal, the CMCP Newsletter and Big News for Smaller Firms.